Zam-Buk is a formula dating back to the Victorian era. 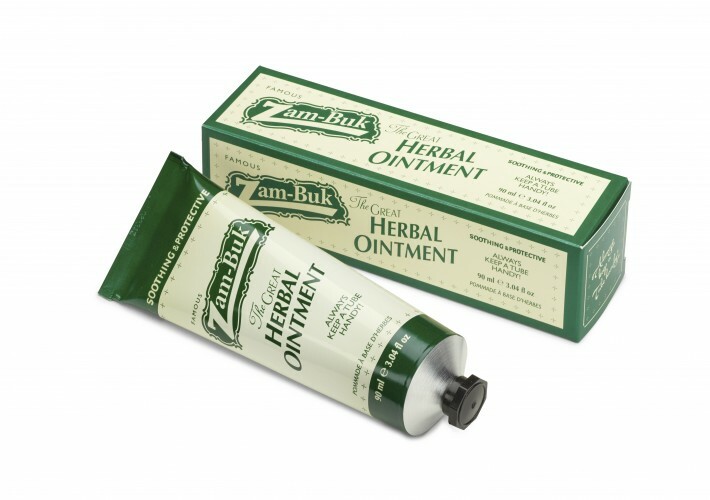 Famously used as a household first aid remedy over the years. 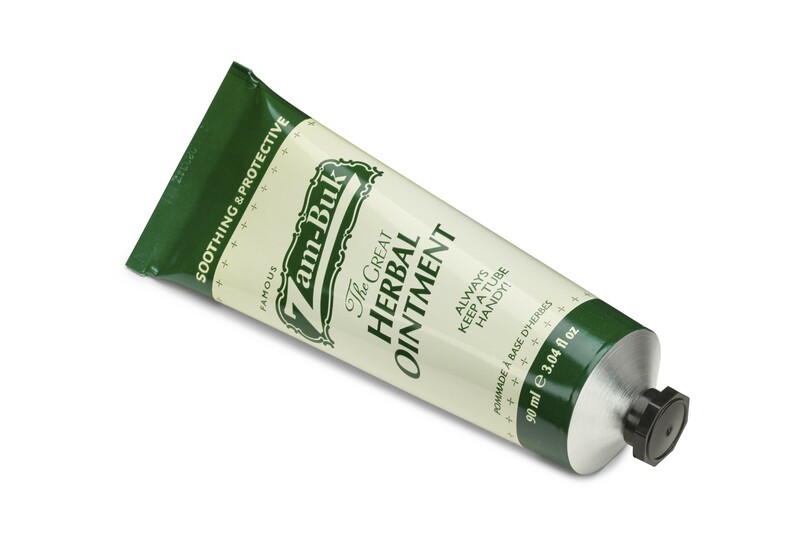 We have formulated this Great Herbal Ointment with the same wonderful properties and fragrance of the original with a few extra twists. As always it is naturally fragranced with pine, thyme and eucalyptus oils. This ointment contains Vitamin Pro-V5 and shea butter to intesively moisturise skin and Vitamin E to help protect skin. Use wherever your skin needs a boost of goodness, from rashes, dry skin and soreness to sores, bruises and blisters. Aqua, Cetearyl Alcohol, Cetyl Alcohol, Glycerin, PEG-100 Stearate, Glyceryl Stearate, Cyclopentasiloxane, Isopropyl Myristate, Phenoxyethanol, Ethylhexylglycerin, Ceteareth-20, Propylene Glycol, Aluminum Starch Octenylsuccinate, Xanthan Gum, Butyrospermum Parkii, Carbomer, Pinus Sylvestris (Pine) Leaf Oil, Thymus vulgaris (Thyme) Oil, Eucalyptus globulus Leaf Oil, Panthenol, Tocopheryl Acetate, PEG 40 Hydrogenated Castor Oil, Dipropylene Glycol, Triethanolamine, Limonene, CI 42090, CI 19140.